We believe that responsible tourism involves giving back to organizations that are working to improve the lives of the poorest citizens in the countries we visit. Each of our trips donates a portion of the total tour cost to one or more NGOs (non-governmental organizations). The following are just a few of the non-profits we support. Songea’s Kids mentors and provides seed money to help Tanzanians meet the basic, health and educational needs of their orphaned children. They collaborate with Tanzanian partners to bring life and hope to orphans by establishing self-sustaining programs and building infrastructure such as Hope Village. Global Partnerships invests in micro-finance institutions, social businesses and cooperatives in Latin America, the Caribbean and Sub-Saharan Africa. Among the people their partners serve, more than 70 percent live in rural areas and more than 80 percent are women. Through these partners, they continue their commitment to reach the rural poor and empower women to improve their lives and the lives of their families. Room to Read believes that all children, regardless of gender or background, have a right to education. Their programs have reached more than 5 million children in Bangladesh, Cambodia, India, Laos, Nepal, South Africa, Sri Lanka, Vietnam and Zambia with plans to expand throughout the developing world. They build libraries and schools, publish local language children’s books, train teachers and support girls to complete secondary school. Maya Health Alliance is a full-service primary care provider in central Guatemala, with special expertise in the management of women’s health care, child malnutrition, and chronic noncommunicable disease. They also provide clean water technology to help alleviate persistent health problems for Guatemala’s poor, underserved and indigenous communities. The Tongabezi Trust funds the community school of Tujatane which educates underprivileged Zambian children. Since 1996, Tujatane has grown from a preschool of 15 children to an independent primary school of over 220 students. The school is funded entirely on donations. Bahia Street Brazil is an NGO whose mission is to break the cycle of poverty for girls and young women from the favelas of Salvador by providing them education, healthcare, food and counseling. Doctors Without Borders provides medical aid where it’s needed most. Independent. Neutral. Impartial. Food Lifeline rescues millions of pounds of surplus food from farmers, manufacturers, grocery stores, and restaurants to provide meals to thousands of people across Western Washington in an effort to end hunger. At the same time, they are working to activate allies and advocates to help shape policy and are partnering with similar organizations addressing the needs of low-income families. For over 50 years the Charles Darwin Foundation for the Galapagos Islands (CDF) has worked closely with government institutions, providing knowledge and assistance through scientific research to ensure the conservation of the Galapagos’ environment and biodiversity. 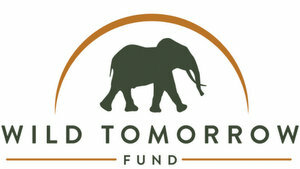 The Wild Tomorrow Fund works to protect the threatened and endangered species of South Africa and Mozambique. The Fund acquires new land, conserves land in critical areas, and assists over 14 game reserves providing critically needed supplies to protect shrinking animal populations with our donations. Since March 2015, the Fund has created a new 1,235-acre conservancy, donated supplies to 10 government and five private reserves, and much more. This non-profit and Fair Trade in Tourism organization raises funds for life changing community development projects in South Africa. Uthando (meaning “love” in Xhosa) works with and supports a collection of independent, well-managed, inspiring and innovative community development projects and charitable organizations of all sectors to form part of the solution that meets the many acute social challenges in South Africa. Padrino’s Children Foundation partners with local health professionals and organizations to provide the children of Todos Santos’ and its surrounding areas access to professional medical care. Their vision is to someday assist every child, no matter their family’s financial background.